2 Bedroom House To Rent in Bury St. Edmunds for £775 per Calendar Month. 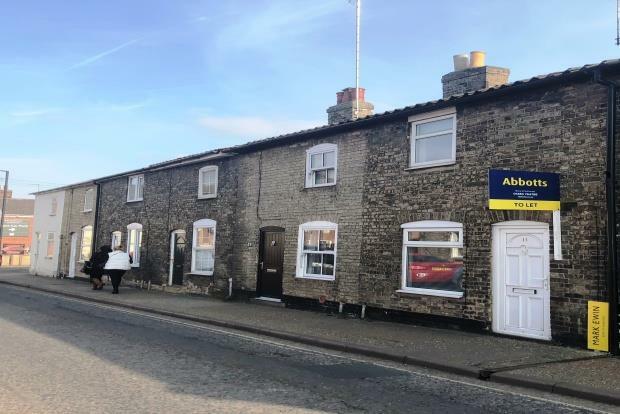 A standard 'two up, two down' style Victorian terrace has just come available located in Bury St Edmunds town centre. Neutrally decorated throughout this property is ready to move straight into to enjoy the garden space ready for spring/ summer. Please contact us to arrange a viewing. Straight into the property you are welcomed with a reception room and a fire place, which is a central piece dividing the walls leading into the second reception room. The next room is the hub of the house giving access downstairs to the basement, a great sized area which could potentially be another bedroom, office or storage space. Back up on the ground floor, the second reception room leads you through to the easy to maintain galley kitchen with an integrated electric oven and hob then onto shower room that has neutral modern tiles and a white suite. Access to the garden also comes from the kitchen providing you with a decking area to soak up the sun in the summer onto a grassed area with a shed for storage at the bottom. Upstairs; there are two double bedrooms with neutral carpets and walls, including blinds too.